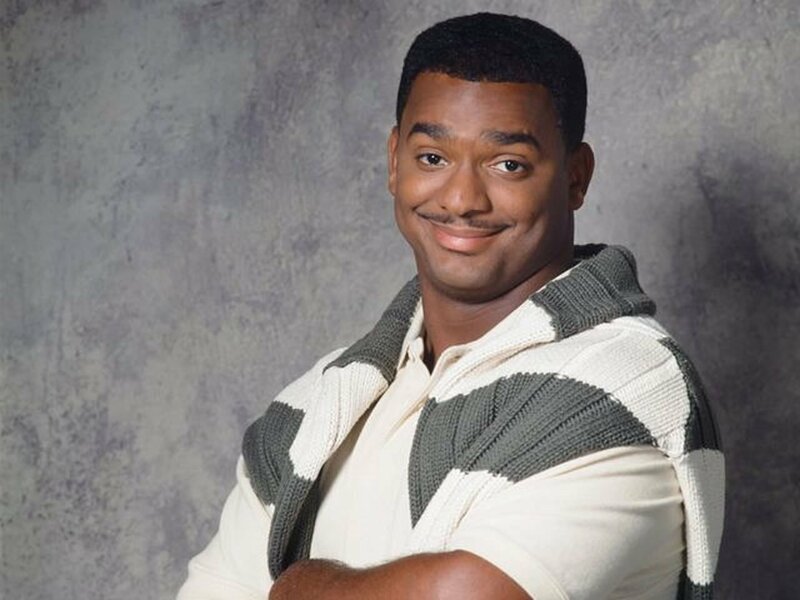 Fresh Prince of Bel-Air star Alfonso Ribeiro is suing Epic Games over the use of his Carlton dance, also known as the Fresh emote, in Fortnite. One of the ways that Epic Games is able to capture the imagination of Fortnite players is through a large number of entertaining emotes like Fortnite Carlton dance. More technically referred to as the Fresh emote, the Carlton dance is modeled after actor Alfonso Ribeiro's signature movies playing Carlton Banks on television series The Fresh Prince of Bel-Air, and its inclusion in the title has lead Ribeiro to file a lawsuit against Epic Games. According to a report from TMZ, Ribeiro's suit against Epic Games claims that the studio "completely ripped off the famous dance his character, Carlton Banks, did on the show throughout the series" (via TMZ). Ribeiro will be represented by attorney David Hecht of Pierce Bainbridge Beck Prince & Hecht LLP, who is quoted saying "it is widely regarded that Mr. Ribeiro's likeness and intellectual property have been misappropriated by Epic Games in the most popular video game currently in the world, Fortnite." Hecht adds that "Epic has earned record profits off of downloadable content in the game, including emotes like "Fresh." Yet Epic has failed to compensate or even ask permission from Mr. Ribeiro for the use of his likeness and iconic intellectual property." The same source states that Ribeiro has also filed an identical suit against 2K Games, developer of the NBA 2K series. Even so, Ribeiro's case isn't the first to be brought upon Epic Games, with YouTube rapper 2 Milly suing the game over similarities between the "Milly Rock" dance and Fortnite's "Swipe It" emote. The main points of contention in both cases involve Fortnite's tremendous popularity (and profits) as well as the notion that emotes generate revenue for Epic Games, money that the plaintiffs believe belongs to them. Legal matters like the Fortnite Carlton dance lawsuit are bringing out more conversation about specific intellectual property rights with regard to choreographed movement. The argument can be made that some dances are the property of their creators, though many might suggest that such dances are only profitable given a greater context afforded by video games. It's unlikely that Ribeiro was making any sort of money off Carlton's dance before, but now that Epic Games is, perhaps now is the time he'll start seeing dividends. It was only a matter of time. It's pretty messed up to take all these dances and charge 5 dollars a pop for them. No one would've cared at if it was a small game, but now it's a HUGE game, and people want a cut. I'm pretty sure Epic's response to this will be that he doesn't have the dance trademarked. Pretty cut and dry. It's not cut and dry through. Lets be honest. the reason Small Dances/Dance Moves weren't Copyrighted, it wasn't that they couldn't. It was because no one cared and no one saw a way to directly profit off a 5 sec dance move. Now that there's a way, be prepared for a mountain of lawsuits and intellectual property right changes. It's going to go to court, and its gonna be debated but in the end, moneys involved, a lot of money. We're witnessing history right now. It gonna change the way we view copyrighted property. I'm pretty sure that's why Alfonso has hired a lawyer who doesn't believe it's pretty cut and dry. I'm curious how this relates to destiny 1 and 2 since they were doing these emotes before Fortnite was a thing. Wonder if they got permission or just that it wasn't massive like Fortnite is and so nobody cared. Destiny 1 & 2 didn't make a billiona dollars in Emote sales, so like you said. No one cared. but the fact he didn't act against them will hurt him in court. you can't only go after the big fish. that's why disney sues all the little guys too. You'll get slapped them with a C&D sure. But they're follow through if you made enough money. It why disney doesn't take every single YouTuber to court. You can ignore destiny and go straight for the big fish. Cause that's what matters. They may not care about how much money Destiny made in emotes, they'll have to pay moving forward when this copyright law changes but they'll not gonna waste time on smaller companies that deal In smaller amounts. That's just how it is. I'm pretty sure that's not how it works when it comes to defending a patent or trademark; you have to treat everyone as equal. Sending automated claims via YouTube works for Disney to cover this. When fan projects are made, Disney, Nintendo, all the big boys still have to act on their property even if there is no intent to sell and make a profit. You have to be making an attempt to defend your property against all challenges, not just the ones with the deepest pockets. It's not so simple; the courts would definitely recognize that before Fortnite brought a spotlite to the issue artists were unaware their property was being misused. I said patent or trademark, only because this is really because he's claiming ownership of something, and to me that seems similar to that. Parent, Trademark, and Copyright all mean VERY different things in intellectual property law. We shouldn’t mix up terms and use them outside of their applicability in discussions like this. No, I imagine it'd be seen as most similar to an artist's copyright to his own work or right of publicity. It might also be important that he doesn't have any sort of copyright on the dance move, and the move has been in the public eye for over 20 years. it's possible they could declare it public domain at this time. You don't have to register for copyright to apply; nothing just 'falls' into the public domain barring an extremely long (decades after the death of the author) wait first. ...I wish that was less true. Yep you will see a Copyright law be passed in the next 10-15 years extending that since Disney died 52 years ago. so if another artist did this dance on stage at their concert (that people paid to see) do they need to give a cut to whoever came up with the move first? A question that these suits will ask about the copyright of dances, which in the US seems to say short dance moves can't be. But let's assume they are, then in that hypothetical, the next question is if that type of use is fair use. Epic no way can argue a fair use for the dance since they are commercially benefiting from it, but an artist doing it on stage at one concert, probably that's okay. I wonder how small a dance move they'd allow to get a copyright. The US Copyright Office circular gives an example that a "YMCA"-spelling dance is not copyrightable. It almost needs to be a whole routine. like I highly doubt the dance community is excited by the idea of not being able to build on each others' moves without having to pay a cut if you use the move in a competition or show. If I create a stage show that's 100% just other peoples' dance moves at my concert that people paid to see why is that fair use? Whole thing reminds me a little of trying to copyright APIs, as if no one has ever moved their body in that way for 3 seconds before and it's a completely original thought that you should now own forever. Oh if you had an entire show that its format was to redo others dances with no originality, that would fail fair use because that guy is putting commercial value on recreating and using all those dances. If it were the case that at one show, some artist busted out the moonwalk among everything else in their routine being original, that would be fine. But again, this is on the basis that the courts might rule that dance moves can be copyrighted. In the US, the copyright office has presently clarified short dance routines can't be. I mean like, the moonwalk seems like a perfect example of a move that should be copywritable if this one is. And who's going to prove they invented it? And then you have to make sure you don't do too much moonwalking in your performance or pay a fine? Short dance moves - like the moonwalk - technically are ineligble for copyright according to the copyright office, but where the line is drawn is unclear. This case may be thrown out on that basis, or the judge may need to explore it. Copyright infringement cases like this are not crystal clear. I think that's just the issue. There was really no way to directly profit off the moonwalk. I mean how could you? I mean sure you can do the dance on a TV show or on stage or in a video game and it's probably fair use because you know it's just inside this large medium however in the case of fortnite you're charging $5 for this specific dance move it's not inside the game just existing as part of a cutscene or joke. you have to pay for it. So you're profiting directly from the moonwalk there's no other way to put it like you're technically stealing intellectual property and charging $5 for it. people aren't paying to see a band on stage to do a moonwalk dance they're paying to see them perform live if they happen to do the moonwalk dance that's fine it's a completely different scenario. it's basically like you walk into a supermarket grab a candy bar take a small bite out of it and put it back on the shelf how is that not stealing? if my 5 year old does a great moonwalk and it goes viral on YouTube and I make a bunch of ad money now I owe the creator of the moonwalk even though the result would've likely been the same had it just been my kid doing a different dance move? No, because you're not paying for the dance, you're paying for the concert. In this case, you're specifically paying for the dance. You can copy dance moves, just not names... is it called the carlton in game? Also, is he that hard up for cash? its called the fresh. these artists need to get a real job. They have one. On the most popular game in America. doesn't he have a huge problem since it was in a bunch of games before this and he never sued for that? Copyright law isn’t the most consistent area of law when it comes to how different types of expression are compared with one another, which I think adds the the confusion. Music for example seems to be much better protected (a few chords in sequence can be enough to infringe on another work). If the “Carlton Dance” consisted of more than a few specific dance moves, I’d imagine it would be more protectable. These Fortnite dances are pretty brief. I think he’d have a better chance if someone ripped of an entire dance routine from his dancing with the stars performances. I think the stronger of the claims would be his argument that his right to publicity was harmed. This probably helps Alfonso more than the other dancers claiming harm from Epic since the dance is so much more intrinsically tied to Alfonso and the character he portrayed on Fresh Prince. Will Ferrell should sue over the new cowbell dance.